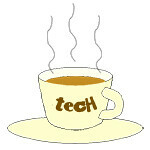 IDC « Tech bytes for tea? “A Day in the Life of a Mining Engineer” in Australia. See how the Internet of Things helps him manage work from his Perth office and travel to the company’s mining site 400km away. Click on the image to view/download the entire infographic. This is the final of three infographics that IDC has released on the impact of The Internet Of Things on all aspects of our lives. The infographics illustrate how being connected would mean better productivity, being connected at all times to the larger ecosystem and how this would change things for all users. “A Day in the Life of a Chief Operating Officer” in Shenzhen, China. See how the Internet of Things will help him better manage his electronics manufacturing company, monitor his personal health and remote check in on his home surveillance system while having lunch with his wife at the restaurant. This is the second of three infographics that IDC has released on the impact of The Internet Of Things on all aspects of everybody’s lives. “A Day in the Life of a Doctor” in Singapore, when the Internet of Things arrives. IDC has released three infographics on the topic of The Internet Of Things and how being connected would mean better productivity, being connected at all times to the larger ecosystem and how this would change things for all users. Polycom gains significant market share in the global video collaboration market in both Q1 and Q2 to gain an additional 8 percent of the total market in 1H 2012, controlling roughly one-third of the market. Polycom has taken an additional 8% of the global video collaboration market over the past half a year to control roughly one-third of the market. Polycom has announced significant, sequential quarter-over-quarter market share gains in the video collaboration industry for the first half of 2012, at the cost of some of its biggest competitors. Multiple independent analyst firms report that more customers continue to choose Polycom over the competition for best ease of use, most interoperability and lowest total cost of ownership. According to new quarterly market share research reports from IDC, Synergy Research Group and Wainhouse Research, Polycom gained between 4.4 and 5.7 percentage points in revenue market share quarter-over-quarter in Q2 2012. Based on reports from all three firms, Polycom’s Q2 gains build on the company’s market share gains of up to 2.2 percent in the first quarter of the year. On the whole, Polycom now holds more than 32 percent global market share at the end of the second quarter of 2012, and gained nearly 8 percent global video collaboration market share in the first half of 2012, reports Wainhouse Research.